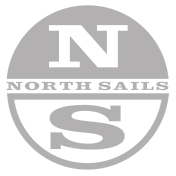 Both North Sails and Coronado 15 class have strong roots in Southern California, and year in and year out, North sails are at the top of the Coronado 15 fleet. Our Coronado 15 experts are available to help you get the most out of your North Sails product offering sound advice, tuning information and expertise. The North Sails Coronado 15 All-Purpose Mainsail is designed to be a top performer in all wind and wave conditions. This is a premium sail designed to deliver top performance in all conditions. The North Sails All-Purpose Coronado 15 jib is a proven winner having won many North American Championships . We designed the jib heavier than the main to resist the abuse it takes when tacking against the mast. Features two windows for better visibility.